Chang'an Avenue is also known as the Shili Changjie and literally translates to the "Eternal Peace Street". Visit the destination and get to see some of the most traditional and magnificent buildings in the whole city. 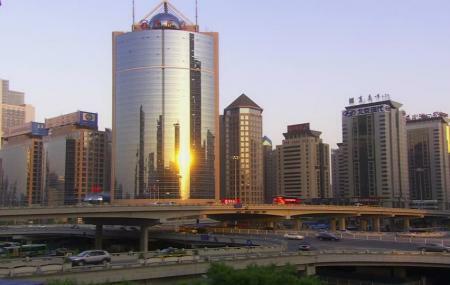 The place encompasses West Chang'an Avenue and East Chang'an Avenue and is a great place to spend some time at. So give the place a friendly visit and you will not be disappointed as it has something for everyone. Also, visit the popular attractions in the city by following Beijing itinerary 4 days. Take a bus from Muzhou Fair or Muzhou stations. How popular is Chang'an Avenue? People normally club together Embassy Of The Republic Of Cameroon In China and China Ethnic Museum while planning their visit to Chang'an Avenue. People also prefer to start their day with Chang'an Avenue.